It’s 2010. 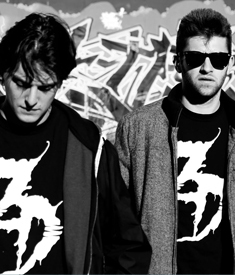 Zeds Dead is about to play one of their first shows in the basement of a dive bar in Toronto. Behind the brick walls and the unfinished ceiling exposed wires hang freely. The air smells of booze, smoke, and sweat. A crowd is lined up outside, flasks hang from their back pockets and cigarettes from their lips. Abandoned drinks rest on the lip of the dj booth while joints get sparked in the corners. Fast forward a few scenes. The narrator continues.